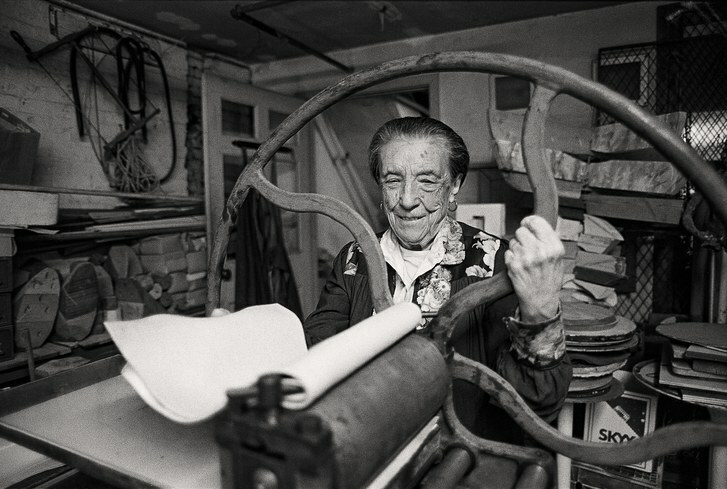 Louise Bourgeois (December 25, 1911–May 31, 2010) was a French-American artist who worked with sculpture, installation, painting, drawing, and printmaking. She explored a wide range of themes throughout her long and prolific career, including domesticity, sexuality, the body, death, and the subconscious. 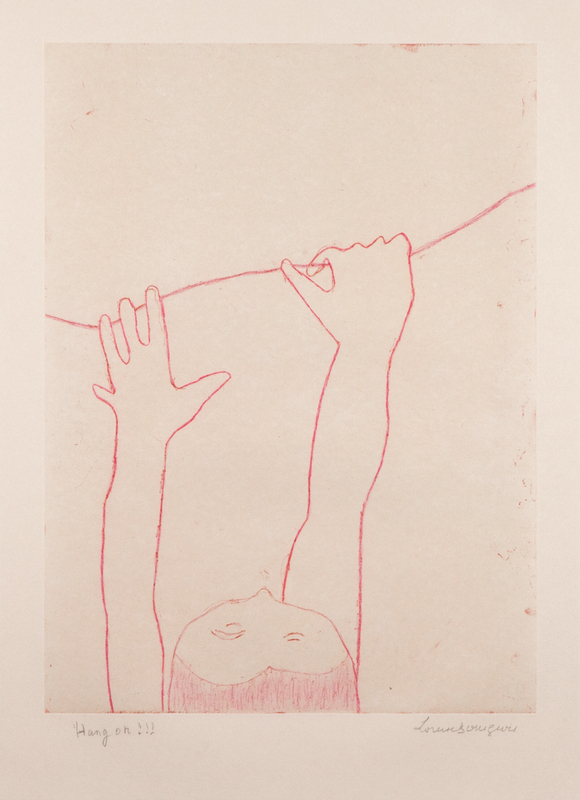 These themes were connected to her childhood and she considered her artistic process to be partly therapeutic. 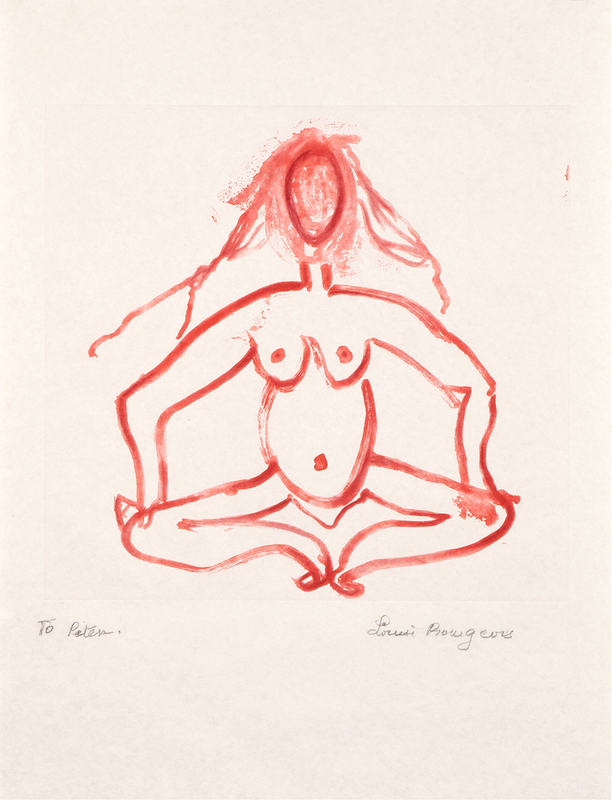 Bourgeois exhibited with Abstract Expressionists, and her work aligns in part with Surrealist and Feminist Art, she is not formally affiliated with one specific artistic movement. Her work has been exhibited widely and internationally, and most recently MoMA (New York, NY) mounted a survey of her life’s work in late 2017, which included numerous large scale prints made at Wingate Studio.